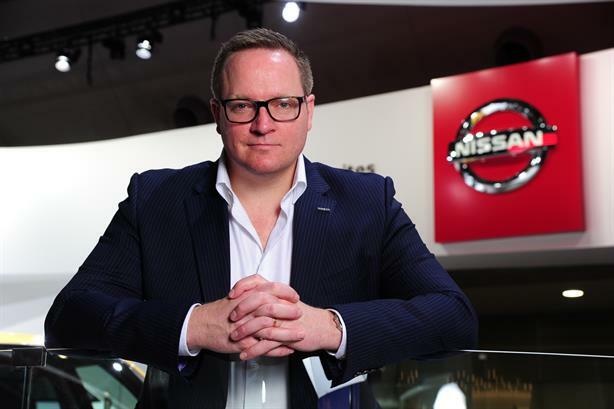 Nissan has further expanded the scope of its European communications operation, with comms chief Stuart Jackson given additional responsibility for the brand team. It is the first time the two functions have been brought together in the automotive business. Jackson's title changes from VP communications to VP brand and communications. He continues to report directly to Nissan Europe chairman Paul Willcox. The eight-strong brand team will be added to the existing employees in the comms function, numbering about 95, operating across 20 countries in Europe (including Russia). Jackson (pictured) said: "Great work has been achieved by both the Nissan brand and Nissan communications teams in Europe over the last few years. By bringing the two functions together, I’m confident we can do even more. "Over the coming months, we’ll be building on our existing plans, making sure the way we work, what we work on and the impact it has is felt by our employees, our customers and our other key stakeholders." The brand team previously sat within the corporate strategy function. The move represents another extension of the car manufacturer’s comms function in Europe. In May last year, Nissan announced that corporate responsibility would be placed under Jackson’s remit, alongside a series of senior appointments and promotions. Jackson oversees the company's PR agency roster in Europe, which includes three consultancies that have been added since he joined Nissan in 2015: Edelman (for communications), WRG (employee engagement) and now Wolff Olins (brand strategy). Jackson, whose responsibilities also include corporate, consumer and internal comms, plus CSR, was formerly chief executive of London agency Up Communications. Before that he was comms director for mobile networks EE and Orange. Other recent appointments at Nissan Europe have included Jesse Verstraete, formerly of Microsoft, as general manager of corporate communications and CSR.